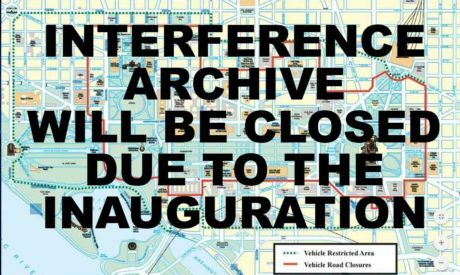 Interference Archive will be closed this Friday, January 20, 2016. There are the rare times a year that we close our doors during open hours. As in this case, its generally so we can get out in the streets. We hope this doesn’t create an inconvenience for you. We will still be open this Saturday and Sunday.